A must have for your pretty queen . 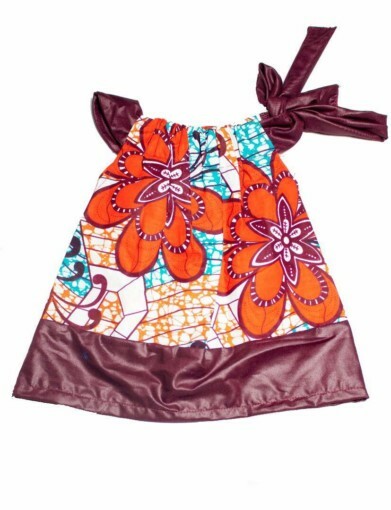 It has a pull and tie neck design which fits all necks and a ribbon to tie on the left side . Very comfortable and easy to wear . Great for all occasions during summer . 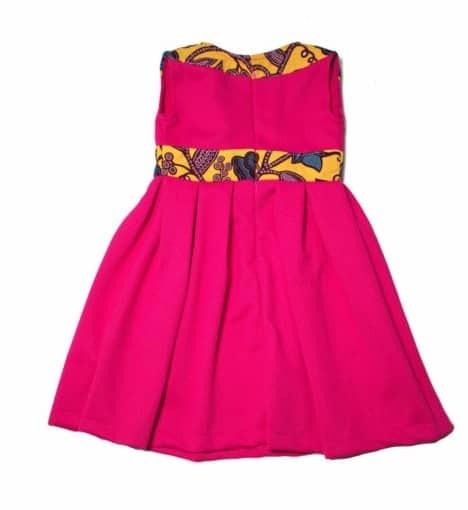 A beautiful dress that will attract all eyes on your pretty one . It fits into all occasion. Well lined in and very comfortable to wear. 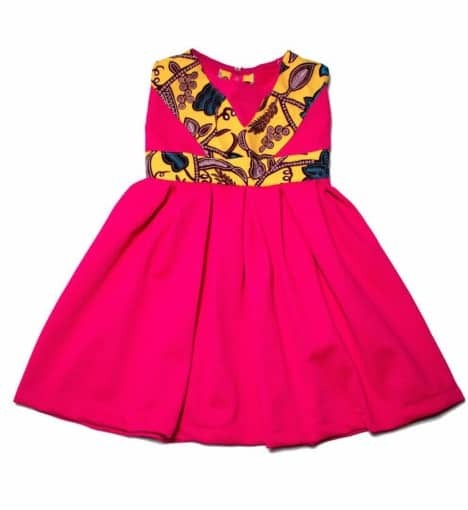 A lovely Cotton dress with an African Print designed in it. Only for princesses. 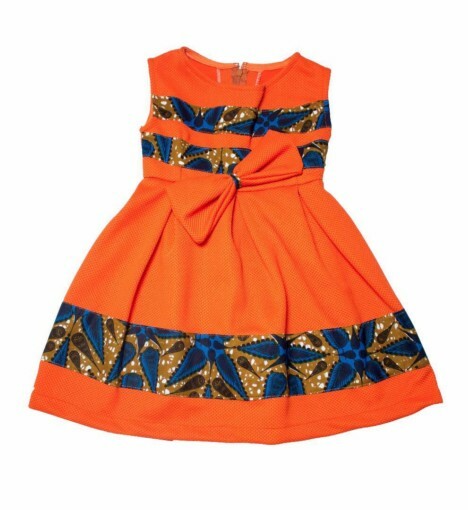 It has a stitched Bow attached to the dress. 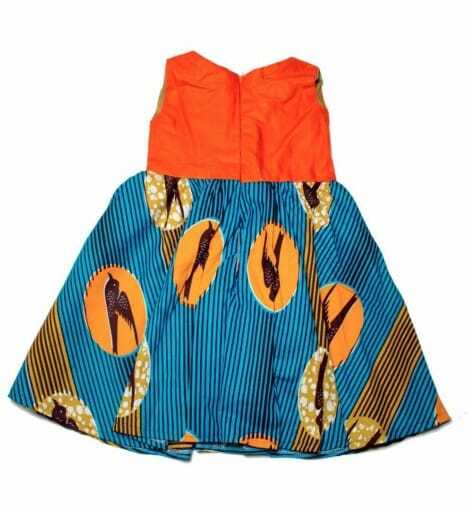 A true definition of an African Print. 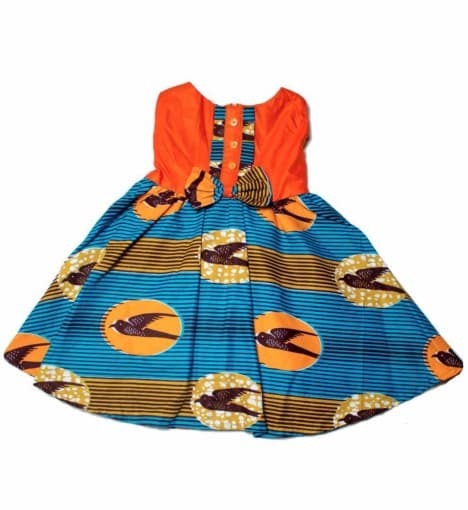 Looks gorgeous on any baby girl. Fits comfortably well and perfect for all occasions. 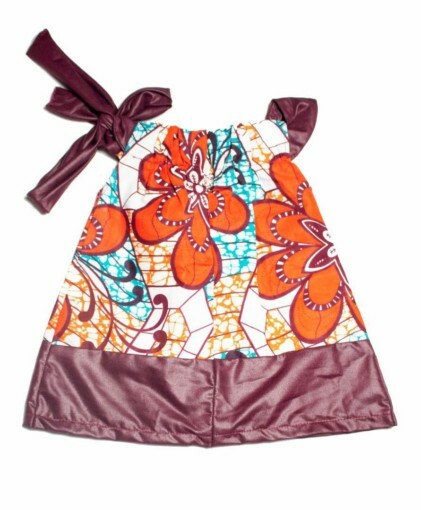 One piece button jacket dress for the little one. 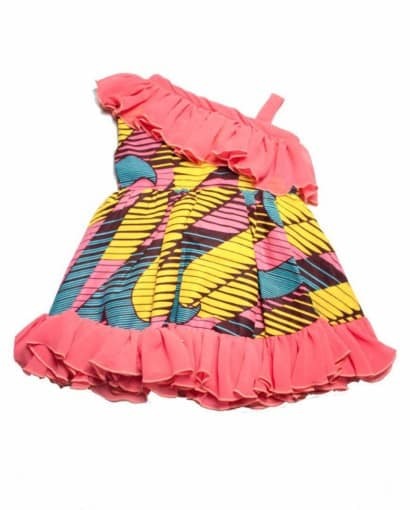 Only for fashionable babies. Easy to wear and take off. 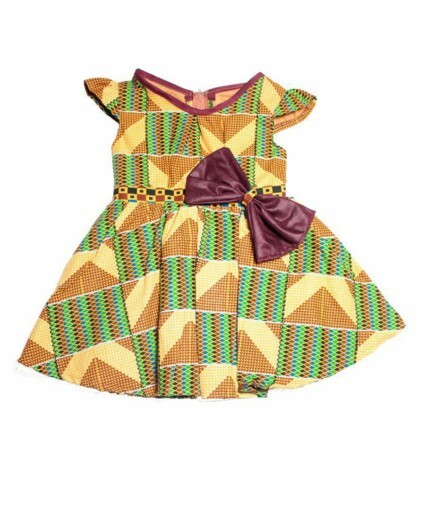 Yes infants can also wear this. 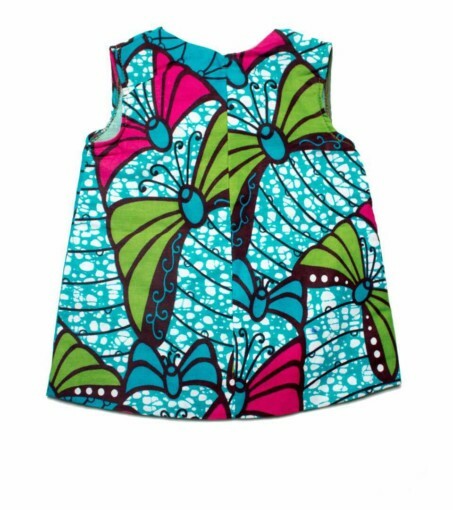 Very beautiful colorful print. 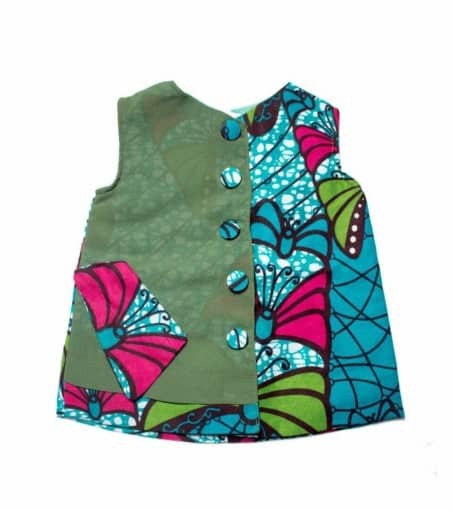 Has an elastic on the neck side which stretches to fit on the shoulder perfectly well. Looks good with a shorts underneath. 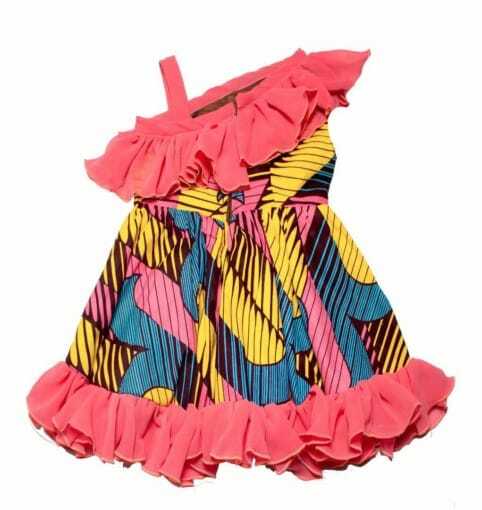 Rock this style on your beautiful Princess . Its a Jeans Shorts designed with an African Print at the leg band area and the back pocket area. It has an elastic band by the waist which makes it easier to wear. It stretches to fit the waist well. It will look good with a Top to match. It’s unisex and can be worn by all sexes. 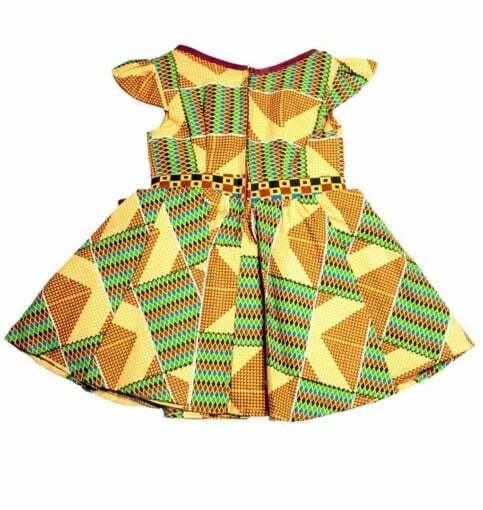 This gorgeous one hand African Print Dress will look good on your lovely baby girl. It will attract all eyes on her. Feels comfy to wear and perfect for all occasions. 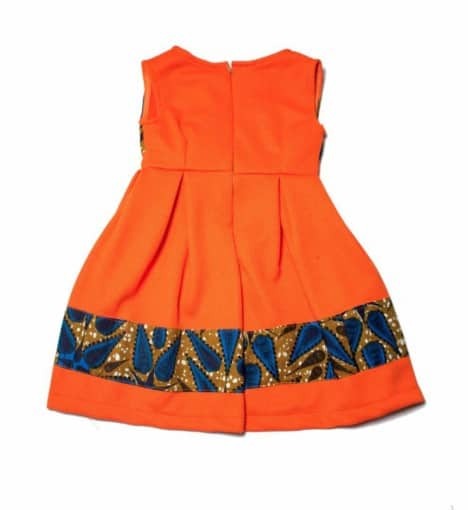 Great for fashionable babies.